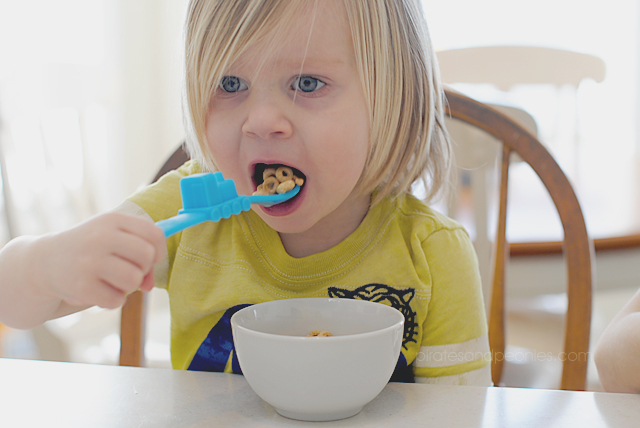 mealtime should be an enjoyable experience for the family. it shouldn't be full of stress and frustration. 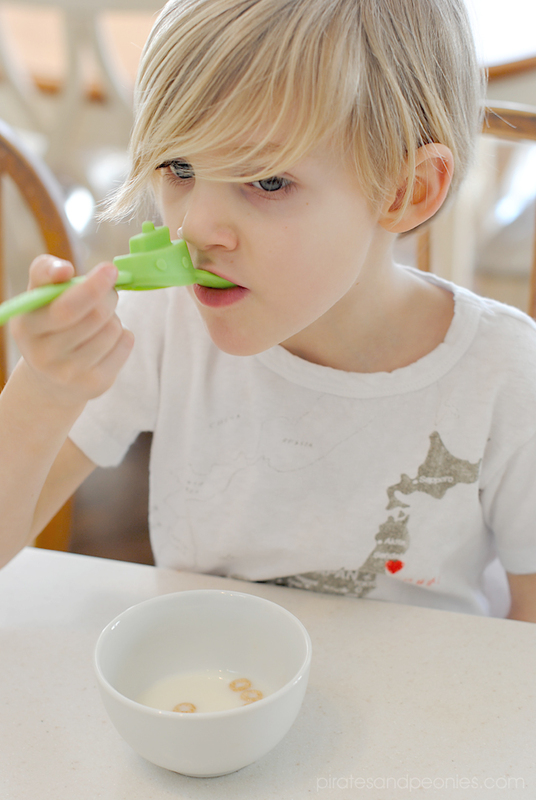 if you have a picky eater you know how much time is spent in the kitchen trying to persuade your child to eat. so i was thrilled when i stumbled upon oogaa. 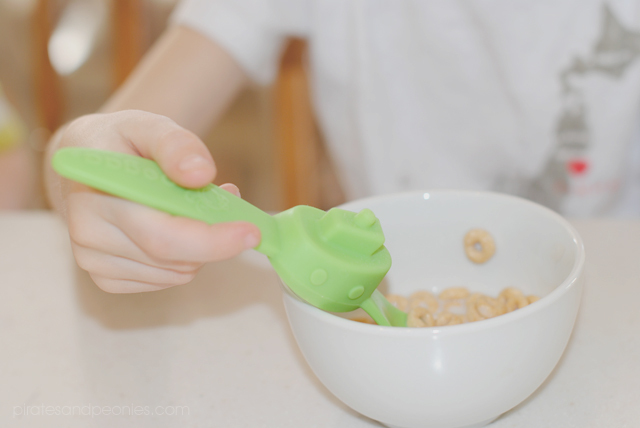 their innovative designs and entertaining take on everyday mealtime items has been a wonderful change from the ordinary. the boys think the exciting transportation themes are the best thing since sliced bread! 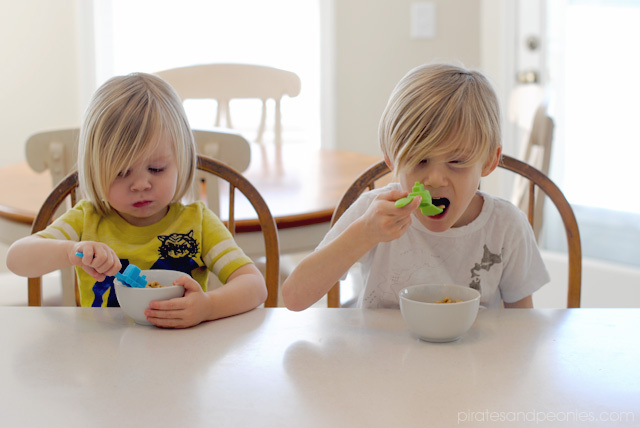 we have a lot of fun and laughs during meals as they play make-believe with their spoons as they enter their mouths. any time we can include laughter it's a win! oogaa has really thought of everything! the pliable placemat is incredible. we have tried many placemats ( brinley spills during every meal without fail) and regular mats always end up curling up on the edges or are inconvenient to store in cupboards. this non-slip mat has been easy to clean and rolls up and is easily put away. it also seconds as a drawing pad! for added fun you can use washable markers to keep your child busy while waiting. simply brilliant! another bonus is the plates are soft and durable. trust me, we have had one thrown as a frisbee and no harm was done (although I do not promote or recommend it to replace your frisbee on a daily basis- haha). oogaa's electric colors and the creative designs are an easy sell for the kids, but oogaa's eco friendly use of safe materials is what does it for me! they use high grade silicon so their products don't release extreme toxins that you would normally encounter with items you put in the microwave and dishwasher. their products are completely PVC and phthalate free. these durable, non-slip materials will make you and your child happy! 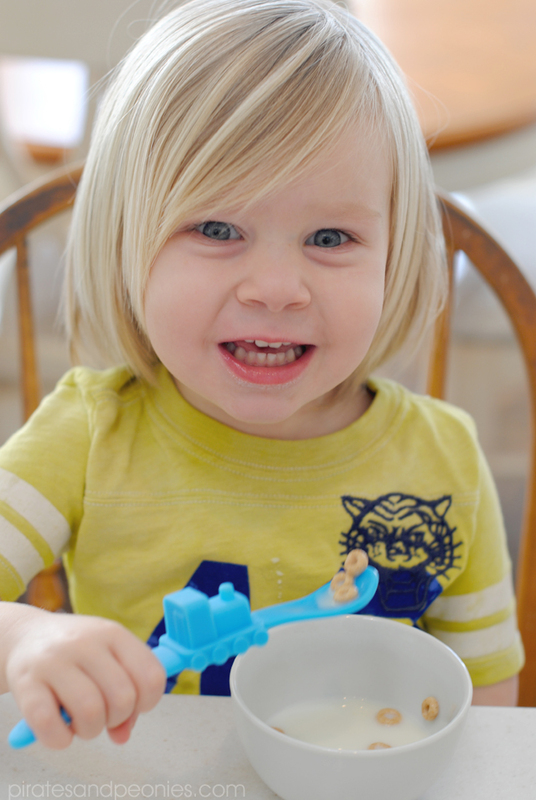 i have found that oogaa is great for all ages and it makes mealtime a fun occasion for the entire family, including the pickiest of eaters! 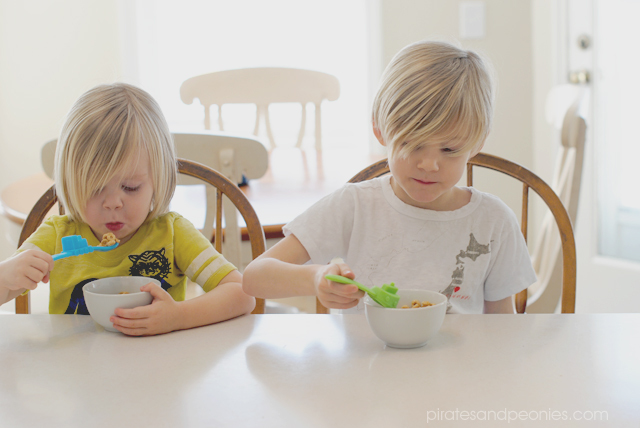 i am so thrilled that oogaa is giving away a mealtime set and placemat to one lucky pirates and peonies reader! your child will love it no matter what age they are! 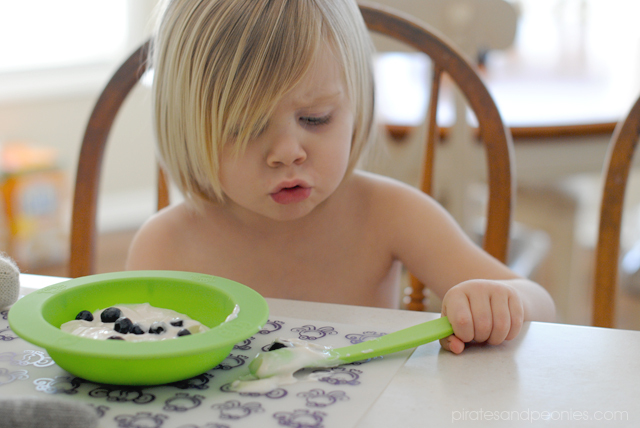 no worries about spills for this mama! Contest will close Sunday at midnight. Winner will be announced on this post and our FB page on Monday, and will have 48 hrs to claim their prize or another winner will be drawn. What a fun giveaway! It's all super cute, but I especially love the adorable mats! Oooh I really want the placemat for Jude! 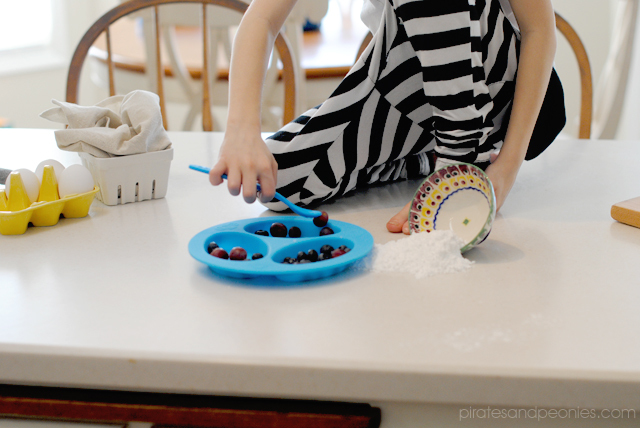 love those placemats!! 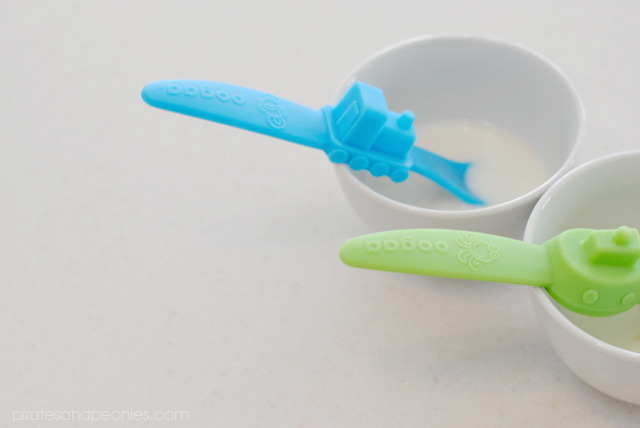 And those spoons! So stinking cute! All of it! Love those placemats, very stylish!